Denel maintains that its current order book of R18.7 billion is lower than planned and inadequate, with efforts being made to increase it. In the 2017/18 financial year, Denel recorded an order intake of R2.7 billion, bringing its order book down to R18 billion from R30 billion in 2016. It is pursuing an order pipeline of approximately R40 billion. 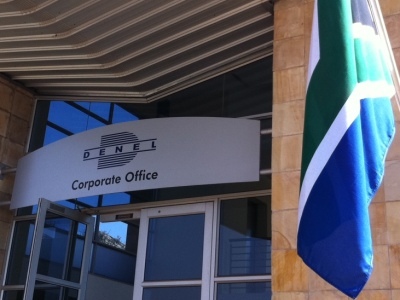 “The current order book is inadequate, and much effort will be placed over the next five years to ensure a solid business development strategy is in place,” the latest Denel annual report stated. “Medium term order cover remains insufficient. Although the order book has grown substantially in the previous years, the growth of revenue has eroded the order cover period. Medium term order cover remains insufficient with local demand declining and with Denel having low bargaining power,” Denel stated. The South African National Defence Force (SANDF) remains Denel’s most important customer and comprises 45% of Denel’s current revenue stream. “The local client base assists in key product developments which Denel leveraged when pursuing foreign business initiatives. The current defence and security budget is 1.1 % of GDP which is low compared to international norms. Whilst the relatively low defence spend places pressure on Denel to find export clients to maintain capability and be sustainable, it provides a base load together with investment in new technologies. Regarding the export environment, Denel said that stronger competition with European and American companies should be expected in markets traditionally serviced by Denel due to contraction in defence spending in their home markets. “It is further expected that customers will shift their focus from procuring systems with the highest possible performance to ones that are more affordable. In addition, lower oil prices are likely to affect the cash reserves of some countries and their spending patterns on defence going forward. “Despite these factors Denel is experiencing a strong demand for its products in the growth markets of Asia-Pacific and the Middle-East. These markets are currently the main export customers for Denel products. There are a number of new business opportunities expected to be concluded and executed in the short to medium term. South Africa is well positioned through its foreign relations in these regions. The existing political support from government and its agencies enjoyed by Denel facilitates the business development in these markets. “Business opportunities on the African continent remain largely untapped due to ill-defined user requirements, funding constraints and other hindering dynamics, most of which are political. There are, however, gaps to fill and opportunities to pursue specifically in the West- African region.